Tocadisco wants to thank you | Shakalaka! We have seen it before, artists who give away their work. 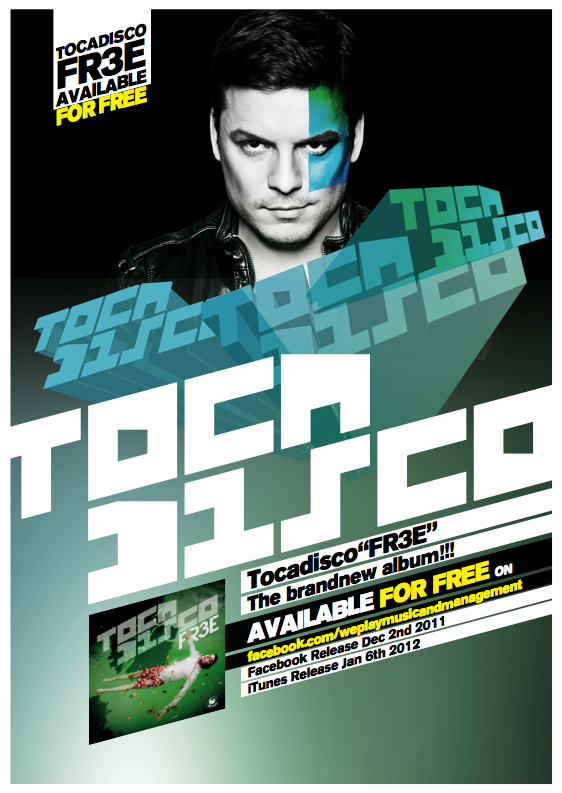 Prince did it... Sarah Bettens from K's Choice did it... And now Tocadisco is giving his third album away to thank his fans. The campaign started half way through November and included a couple of trailers, press releases,... You've probably seen it, but already forgotten all about it... Well, here's your reminder. The album is available from today... Here's the trailer. And here's the link to the album. Great trick to make the link their Facebook page. The end of conventional web sites for entertainers? Enjoy the music!